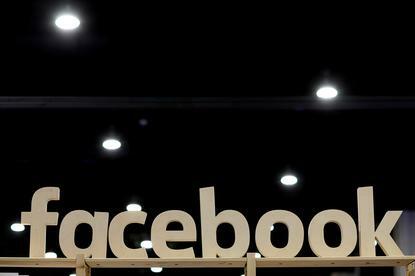 Large companies with significant digital revenues in the European Union such as Google and Facebook could face a 3 percent tax on their turnover under a draft proposal by the European Commission seen by Reuters. The proposal, expected to be adopted next week and still subject to changes, updates an earlier draft which envisaged a tax rate of between 1 and 5 percent. The tax, if backed by EU states and lawmakers, would only apply to large firms with annual worldwide revenues above 750 million euros ($924 million) and annual "taxable" revenues above 50 million euros in the EU. The threshold for EU revenues has been raised from 10 million euros initially foreseen to exempt smaller companies and emerging start-ups from the tax. Large U.S. firms such as Uber, Airbnb and Amazon could also be hit by the new levy, which would apply across the 28 EU countries. Big tech firms have been accused by large EU states of paying too little tax in the bloc by re-routing some of their profits to low-tax member states like Ireland and Luxembourg. While an earlier version of the draft seen by Reuters mentioned several companies, the latest proposal contained no such references. Services that will be taxed are digital advertising, which would capture both providers of users' data like Google, and companies offering ad space on their websites, like popular social media such as Facebook. The tax would be also be levied on online platforms offering "intermediation services," a concept under which the Commission includes gig economy firms such as Airbnb and Uber. Digital market places, including Amazon, would also be within the scope of the levy. Companies with thinner margins, like Amazon, which often operate at a loss would be hit hard by a tax on turnover, whereas they are largely exempt from taxes on profits. "Taxing revenues is the wrong approach to addressing some legitimate questions regarding cross-border tax policies," Josh Kallmer, senior vice president at the U.S.-based Information Technology Industry Council, which represents Google, Facebook, Amazon and other tech firms, told Reuters in an emailed statement. He urged the EU to avoid unilateral moves and coordinate tax reforms at international level. Some U.S. firms, however, could offset the higher tax in the EU with lower tax payments to U.S. authorities that would be required under a new U.S. levy on overseas profits foreseen in President Donald Trump's recent tax overhaul. Online media, streaming services like Netflix and other providers of digital content which do not rely on users to create value will be excluded from the scope of the levy. The tax is presented in the draft as a temporary measure that would only be implemented if no deal is found on a more comprehensive, and possibly global, solution to tax the digital profits of companies in the countries where they are made, rather than where the firms are headquartered as is the case now. The new tax would be levied by the countries where the digital users are located. If they live in different EU countries, the tax revenues will be shared "according to some allocation keys," the draft document says. For instance, revenues resulting from the supply of digital advertising should be allocated to countries in proportion to the number of times an advertisement has been displayed on a users' device there, the proposal says. The plan resembles a French proposal on an equalisation tax that was supported by several big EU states. However, it is likely to face opposition from small countries that fear becoming less attractive to multinational firms. EU tax reforms need the backing of all member states to become law. Reporting by Francesco Guarascio; Editing by Foo Yun Chee and Susan Fenton.